We spent about an hour working and playing with Wikki Stix. We usually just take the mini packs out when we leave the house- it’s convenient to throw some into the diaper bag. This day, the girls spent all day home, so I took out the bulk stash. I purchased the acrylic poster boards and thought it would be fun to use it as a canvas for the Wikki Stix. I taped the corners because they were pointy. Think of all the possibilities and scenes we can create with different types of back drops if we wanted to change it up. We can draw a thunderstorms and insert it to the poster holder for a rainy day, draw the beach on paper and insert it for a sunny day. We can even change it depending on holidays or seasons. It’s a great way to keep the kids busy with little to minimal mess! We kept it as is for that particular day; we left it paperless and transparent. We can carry it around the house and the scene can be wherever we end up going around the house. Stay tuned for when we use the acrylic poster stand with various paper backgrounds! 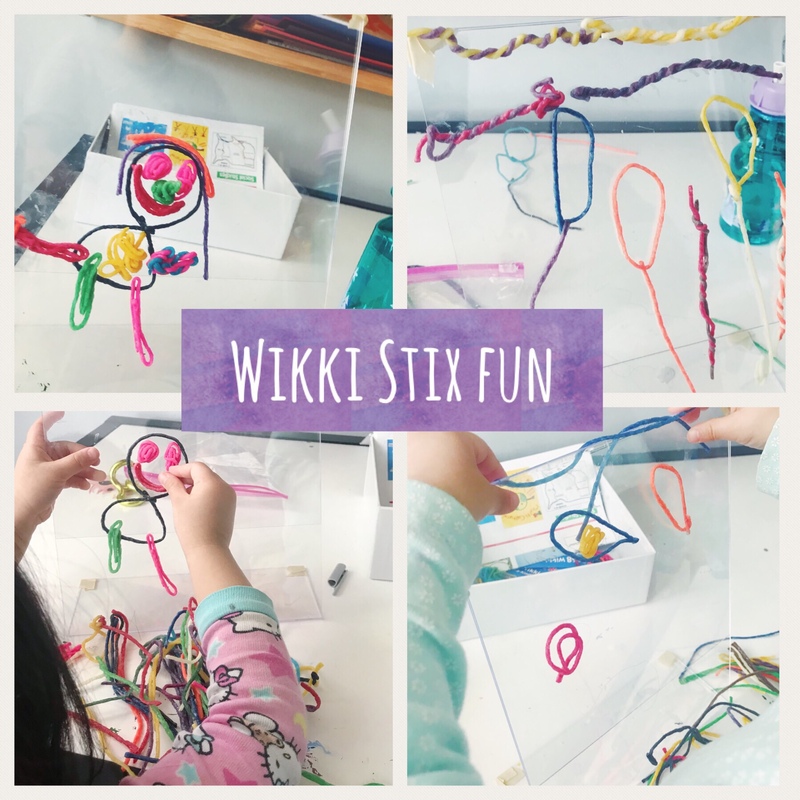 What are your favorite ways to use Wikki Stix?